Alpena 2018 is in the books. From the reviews received the Seminar was a huge success. The Executive Board, Master Trainers and Trainers averaged 17 different training sites going with over 325 Teams participating. At the opening ceremony the US Vice President Al Daisley was honored for 50 years of consecutive service in K9. At the annual steak dinner there were 4 Life Saving Awards presented, the Utility Team of the Year, Narcotic Team of the Year and Explosive Team of the year were also presented. Check the Awards icon for pictures and names of the honorees. We need ALL of you to submit that NAPCH member worthy of recognition to Chairman Mike Raby. We have simplified the process and believe there are many members that have done good deed(s) and should be recognized. We have already set the date for Alpena 2019 which are September 28th thru October 3rd. In my address to the Membership at the opening ceremony I touched on the continued growth of our organization and the future of K9. 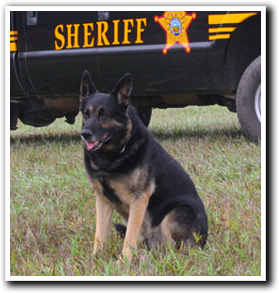 With all of the political turmoil and bad press WE need to make sure K9 continues to head in a positive manner. The bad videos does not reflect the hard work done every day by you. The non K9 persons perception needs to see all of the life saving, crime stopping, positive presence you perform on a daily basis. You must be a responsible dog Handler and make sure your training is focused on what you do on the job in your Communities, Hospitals, and businesses. I am once again asking all NAPCH members to keep in touch with us either on Facebook, email or through the website. Also, please update any information that will assist us in getting in contact with you as quite a few addresses and emails are not current. Finally, this organization is only as good as its members! Please stay involved. Host or participate in a Regional Seminar. If you need assistance please contact me or any other Executive Board member. Let’s have a safe and productive 2019! Keep your training above a minimum standard and stay prepared!